Our ULTI Rack is a superior and smart heavy duty builder's van roof rack that both looks the part and does the job.Made from specialized aluminium composite, it is strong, built to last and expertly fuel efficient. Featuring the innovative Click & Lock mechanism that's designed to make fitting quicker and easier than any other van rack on the market. The innovative design results in the van roof rack containing at least half the number of fixings of competitor racks! It really is a premium product at a non-premium price. Robust aluminium gallery rack that is extremely quick and easy to fit. Maximise your load carrying capacity with versatile 8x4 capacity and ability to carry heavier loads. Available for next working day delivery to mainland UK. We have replaced nuts and bolts with an innovative Click & Lock mechanism to secure the cross bars to the side rails. Essentially this contains a metal plate that locks below the lip on the side rail. For our Click & Lock mechanism to fit correctly, it needs to “CLICK” and “LOCK”. Read more about the Click & Lock here, or click on the ‘Video’ tab to see the mechanism in action. * Please click on the links below to view the relevant reports as PDF files. Van Guard Sled Test Report - October 2015 - Two sled tests took place. The first test was performed on an ULTI Rack, 2x Pipe Carriers and 1x ladder. The second test was performed on an ULTI Rack and a ballast load (steel sheet). Fantastic bit of kit very prompt delivery would definitely use this company again. Roof rack is a good quality and easy to install. Looks great,good quality and light weight, easy to put together but instructions arnt very good. Customer service is great and I would recommend this product to others. 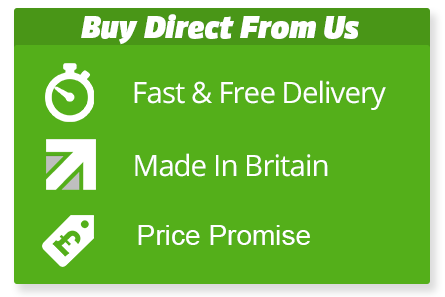 Great item well packaged and fast delivery. Many thanks.